In September, Rewilding Europe released its first promotional film about creating a wilder Europe. Canon France sponsored this film produced by Emmanuel Rondeau, a French cinematographer and film producer from White Fox Pictures. Emmanuel used the new CANON EOS-1D X Mark II camera to show its various features and the innovative filming technology. The promotional film has been seen by many people all across the world, and was received very well. Emmanuel also produced a short film that takes you behind the scene where Emmanuel gives his feedback on Canon’s new flagship DSLR. 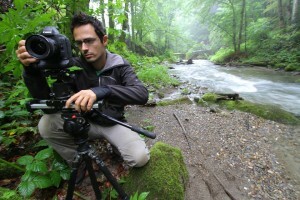 Rewilding Europe interviewed Emmanuel Rondeau about his experiences in making the promotional film, and what he found visiting four of our rewilding areas. How did the cooperation between you, Rewilding Europe and Canon start? I have been working as a filmmaker and a photojournalist specialized in wildlife and conservation for 6 years now. In that time, I have seen many incredibly discouraging and frustrating things all over world, like poaching of the very last Northern white rhinos in Kenya or the disappearance of the jaguar from one of the best national parks in the world in Costa Rica. In addition, I am very shocked with how France, my own country, treats predators, especially wolves but also lynx and bears. Therefore, the point came where I really needed to get some inspiration and hope in a better future. I needed to work on something that fills me with hope for the next generations. I contacted Rewilding Europe because I wanted to collaborate with people working on the forefront of rewilding, this new approach to conservation. Thinking about the great future of the wild in Europe instead of lamenting on its past is something I was looking for. I have been working with CANON France for many years now, and I knew that a new great DSLR camera was coming out, so I proposed to both Rewilding Europe and Canon to do something together. The synergy of rewilding, technology and creativity shaped this promotional film into its final form. When did you first learn about the work of Rewilding Europe? Through my work on European Lynx in France, I got in touch with people working on how to introduce and work on the concept of rewilding in my country. Furthermore, during the various wildlife conservation conferences I attended and learned about the idea behind rewilding, the name of Rewilding Europe and its work got mentioned regularly. I checked the organization’s website and I felt Rewilding Europe was really taking the concept of rewilding to the next level, especially in term of scale. Personally, I believe that we never think too big in term of conservation because everything is connected and Rewilding Europe demonstrates this in its work. Shooting of Rewilding Europe’s promotional film with help from Canon France and its gorgeous Canon 1DX Mark II. How was it working with the team members of Rewilding Europe across the continent, tell us a bit about the experience? Working with Rewilding Europe was absolutely great. People in this initiative are passionate, experienced and diverse. Every person is coming with its background, whether it is biology, tourism, communication, forestry etc. and it creates something very strong, with a wide approach. On each shooting location, I worked with people that were as determined as me to get the right shots. Nobody complained to wake up at 5 ‘o clock every morning and to go to sleep at midnight, just because we knew we were doing something special, with very limited time and a big ambition. What rewilding areas did you visit during filming, what were the challenges? What is your personal favorite area amongst those visited? We have been shooting in Velebit Mountains, Croatia, in Western Iberia in Portugal, in the Southern Carpathians in Romania and in the Swedish Lapland. The challenge was to get very high quality footage in a very small timeframe, since I stayed in each country only between 5 and 7 days. The whole trailer esthetic is based on very polished and strong images. So not only we needed some diversity to tell the story we wanted, but also each time we had to get exactly the right kind of images. Shooting such footage takes a lot of preparation and then time to do it – but it worked! It would be very difficult to say which place I liked the best. In each rewilding area I found unique things (and people!) I didn’t find anywhere else. If I had to name one, I think it would be the Swedish Lapland. I fell in love with the aesthetic of the landscape: the colors, architecture, infinite forest, pristine waters but also with the Sami culture. What was your impression about Rewilding Europe before starting the project and now after it is finalized? My impression is similar, only stronger. Rewilding Europe is at the start of a big change coming our way in how to see and ‘manage’ nature and wildlife in Europe. Many things have to change, not only in the field but also in policy and legislations; Rewilding Europe is putting all its energy towards this change. I am really happy we could collaborate together on this project and I hope we will have many other opportunities in the future. 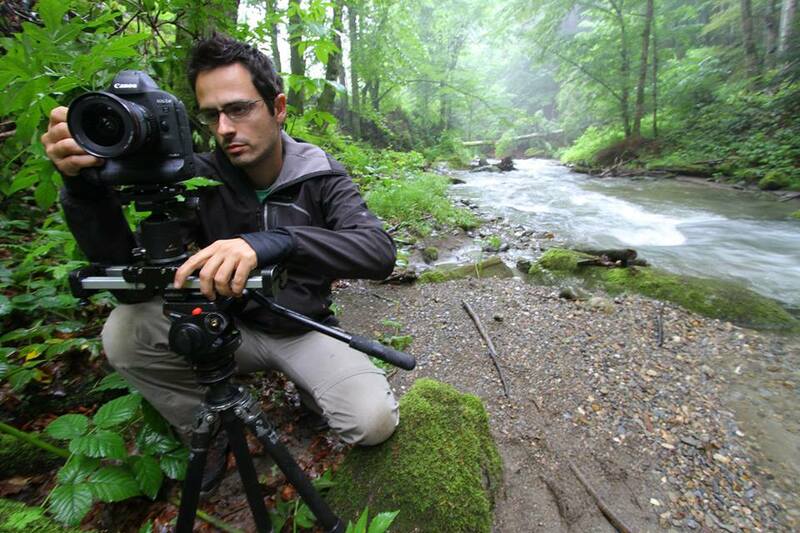 Rewilding Europe sincerely thanks Canon France and Emmanuel Rondeau from White Fox Pictures for their support and work in producing the promotional video.